In our window this week! For 2 days only Wednesday 14th and Thurs 15th October we will bring in two much sought after Pronovias 2016 dresses for you to try. Book an appointment to avoid disappointment as these are simply elegant. See our Facebook page for updates! Our bride Catriona in Pronovias! 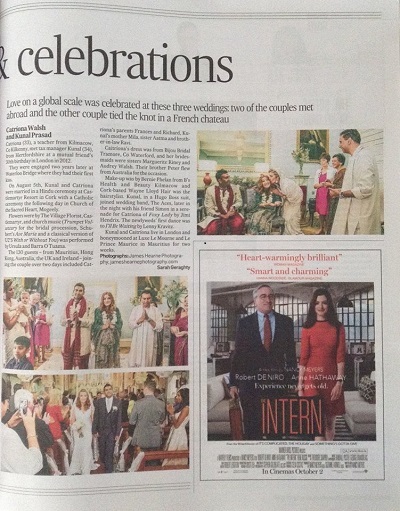 Stunning pics from James Hearne-Photography of one of our beautiful brides Catriona as featured in the Irish Times recently. 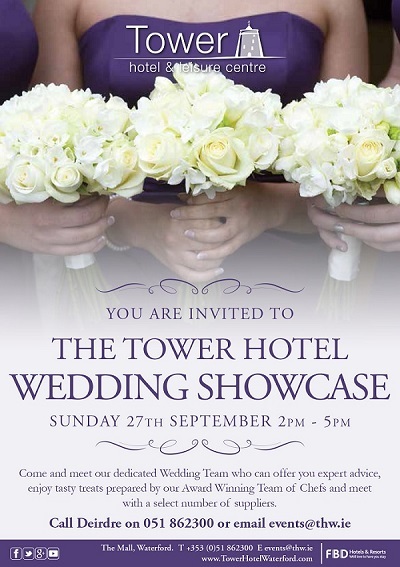 We have a huge new announcement so come and meet us in the Tower Hotel or Woodlands Hotel this Sunday to find out what we have in store for you!!! Pronovias lace and stunning bead detail help make this figure hugging gown glisten! 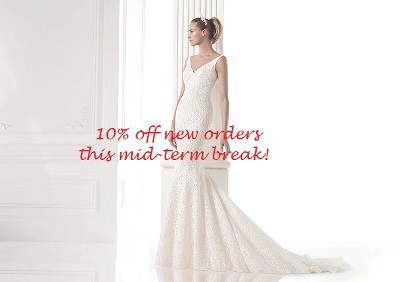 For mid-term break this October we are offering 10% off ALL new orders! Announcing the arrival of our new collection for 2015 from Fara Sposa! Focusing on soft fabrics for the bride that wants something timeless but a little bit different. We will be showing in the fashion show at the Newpark Hotel on Sunday next 31st August as part of their Wedding Showcase. Hope to see you there, come and say Hi to be entered in our competition! In our window this week we have two very different looks this one is a fitted diamanté encrusted satin in oyster! Just arrived ... structure and style! BIJOU BRIDAL SAMPLE THIS SATURDAY 28TH OF JUNE. 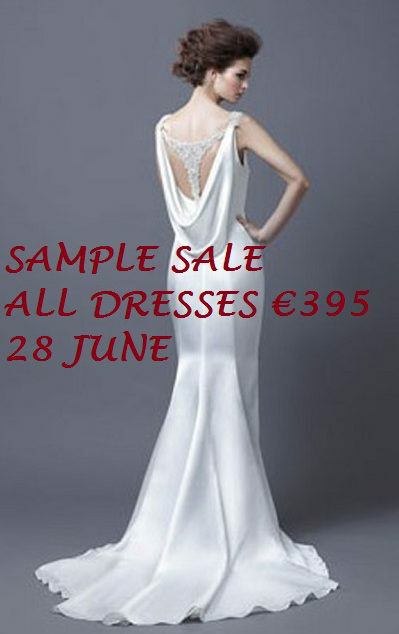 ALL DRESSES JUST €395!!! JUST POP IN, TRY AND BUY. 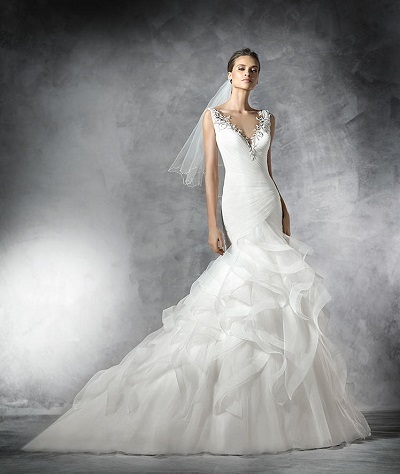 PAY IN FULL AND GUARANTEE YOUR DRESS FOR A FRACTION OF THE ORIGINAL COST. WHO DOESN\'T LOVE A DESIGNER BARGAIN?! We have just added some stunning gowns to our Sample Sale range. These are beautiful dresses that you can buy off the peg at a fraction of the original price, perfect for recessionistas! 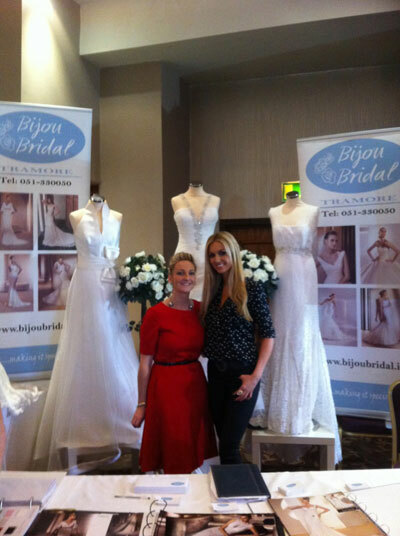 Bijou Bridal\'s Marcella meets with former Miss World Rosanna Davison. 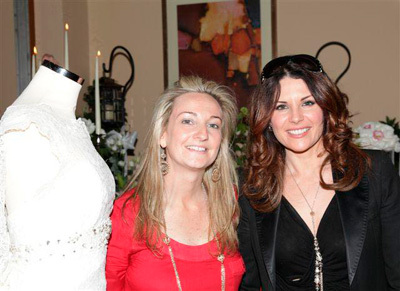 Rosanna wished Marcella every success with the business and complimented the beautiful dresses. Both were attending the Riverside Park wedding fair in Enniscorthy. Rosanna was compering the fashion show in which Bijou Bridal showcased some of their stunning gowns.